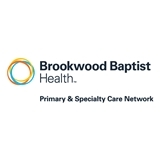 Brookwood Primary Care - Vestavia Hills (Vestavia) - Book Appointment Online! FAA physical's please call our office 205-871-7746. I love Dr. Cranford! I have been seeing him for years. Always so personable & nice.